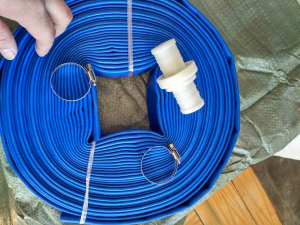 Home›Blog›What accessories do you need for PVC lay flat hose to use? What accessories do you need for PVC lay flat hose to use? PVC lay flat hose needs to be used with some accessories. What are the PVC lay flat hose accessories? We will introduce these two points in detail below the hook and interface. Because PVC lay flat hose often needs to be laid vertically upward in irrigation, it is necessary to use a hook to reduce the falling force of PVC lay flat hose. There is also a water divider, which can turn on or off the flow of water from the PVC lay flat hose line, thus shortening the time required to turn on and off the flow. In addition, the interface mainly plays the role of connecting PVC lay flat hose. 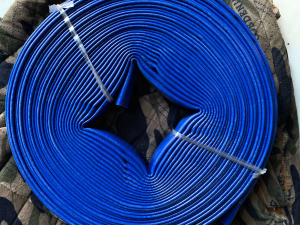 If it is far from the irrigation land, two pans of PVC lay flat hose can be connected. The other interface is the necessary accessories for connecting irrigation tools. The previous article：What is the water saving performance of PVC lay flat hose? The next article：What are the reasons for the unsuccessful assembly of PVC lay flat hose?